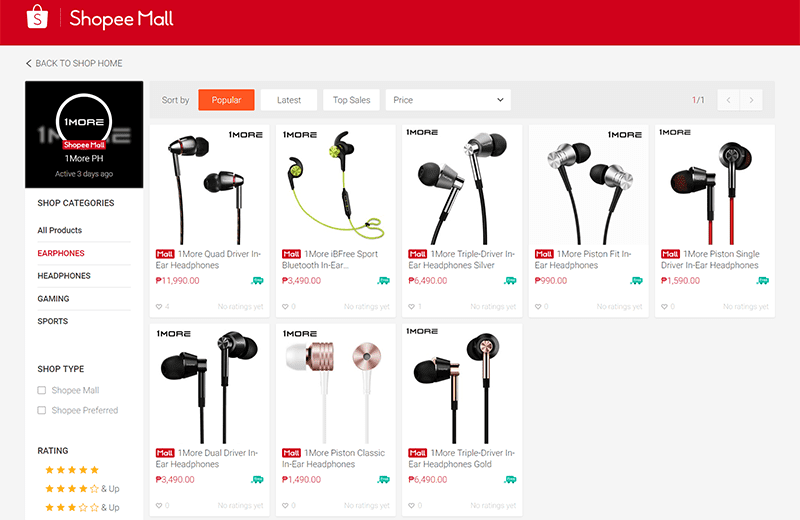 1MORE's award-winning headphones are now available at Shopee Philippines! Home / 1more / audio / news / 1MORE's award-winning headphones are now available at Shopee Philippines! 1MORE is now in the country through Shopee Philippines! It's an audio brand who specializes in making high-quality "audiophile-grade" headphones and earphones for less. 1MORE is now in the Philippines! As a matter of fact, 1MORE have received multiple awards from CES, RedDot, and iF for their acoustic design. The brand has a goal of delivering music to everyone as the artist intended it to be heard. As of writing, the brand has a total of 10 products. It include 8 in-ear monitors (earphones) and two headphones. The most affordable IEM (in-ear monitors) they have is the 1MORE Piston Fit priced at PHP 990. It has a stylish metal body, semi in-ear design for comfort, and dual layer composite driver which is designed to deliver power bass response and good mids and highs. The most popular in their line-up is the 1MORE Triple Driver for PHP 6,490. It is the world's first THX certified headphones. It has a two balanced armature drivers and a single dynamic driver for balanced and accurate sound with dynamic power and bass. It was tuned by Luca Bignardi, a Grammy award winning sound engineer. The most expensive IEM they have is the 1MORE Quad Driver for PHP 11,990. It boasts 3 balanced armatures which works like mini tweeters and a "diamond-like" carbon dynamic driver for great dynamic power and sound definition. It is also a THX certified headphones tuned by Luca Bignardi. 1MORE also has other IEMs with dual drivers and Bluetooth wireless connectivity. They also have gaming and triple driver headphones.